When you are choosing your business calendar planner the options can seem endless. This post is the ultimate guide that will walk you through all the aspects of picking a planner! While we all wish there was the PERFECT planner, very few of us actually reach that lofty goal. But if we can get 90% of the way there then our lives can change forever. There are millions of calendars out there (and we will talk about a bunch of them). But having a planner takes it one step beyond just a calendar. A planner lets you track dates, appointments AND what you are working on. 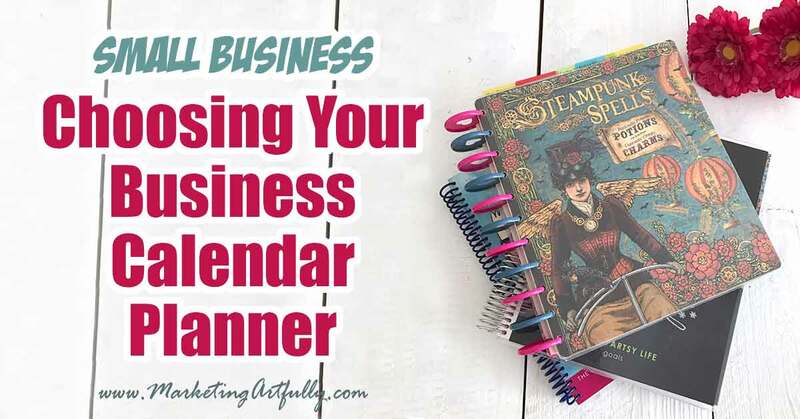 My planner has a small section in the front that is my calendar and then I have all the information I need related to my business including my two product lines, my clients, upcoming product launches and my business leads. Everyone’s planner should be different. If you are a traveling salesman who moves around, you might need to have contacts (in case your phone dies), lead sheets and a product catalog in your planner. A work from home internet marketer’s planner might include things like launch dates, sales funnels and product development plans. 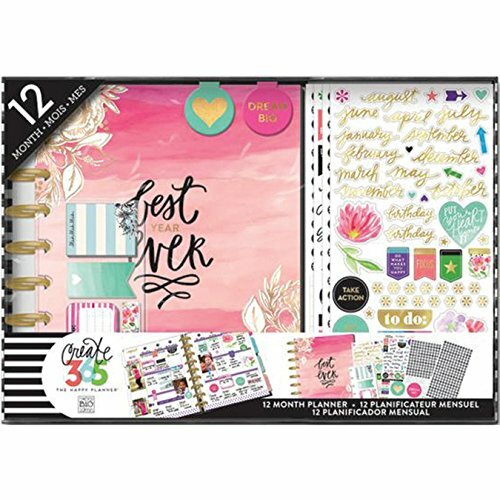 I have chosen to make my own planner using an ARC System from Staples, but there are many ways you can choose or modify “off the shelf” planners and calendars to meet your needs. Before I go into details, let’s talk about why we need a business planner. For years I tried to make calendars do more than they were intended to do. Calendars are simply meant to record appointments. They can occasionally also serve as your to do list, but asking them to do more than that is outside of their capabilities. The day I broke and decided that I needed more was when I had about 30 todos listed in a tiny little box on my fancy calendar. For heaven’s sake, your calendar is simply to record what and where you are supposed to be at certain times. Additionally they were all mashed up with no order. Not by urgency of getting done, let alone by which part of my business they were serving. I was a disorganized mess, chasing from one fake emergency to the next with no overall plan. Having a planner takes you beyond just existing and running from task to the next and puts you on the next level where you can take control of your life and work with purpose. Should You Merge Work And Family? One thing I go back and forth about a lot is whether I should have my kid’s and family calendar integrated into my planner. One reason TO do it is that then I have everything in one place. When someone wants to meet with me, I can check and see if there is anything going on that I need to be aware of family-wise. One reason NOT to do it is a business planner can quickly devolve into a journal or personal planner if you are not careful. If you are focusing on your business and your family or personal goals, you may be able to merge the two, but I tend to keep my kids calendar separate from my business planner. Now let’s get down to the meat of your planner. There are a bunch of different considerations that I have noticed over the years and I will try to touch on them all as we go through. I like to start with planner size because it is going to effect how your planner functions and what you need to do to accommodate the size you pick. Letter Sized – My favorite sized planner is a plain paper letter size. After years of jerking around with a paper cutter and scissors, I finally figured out that just having a planner that matches 90% of the papers that I use and get would save my sanity. 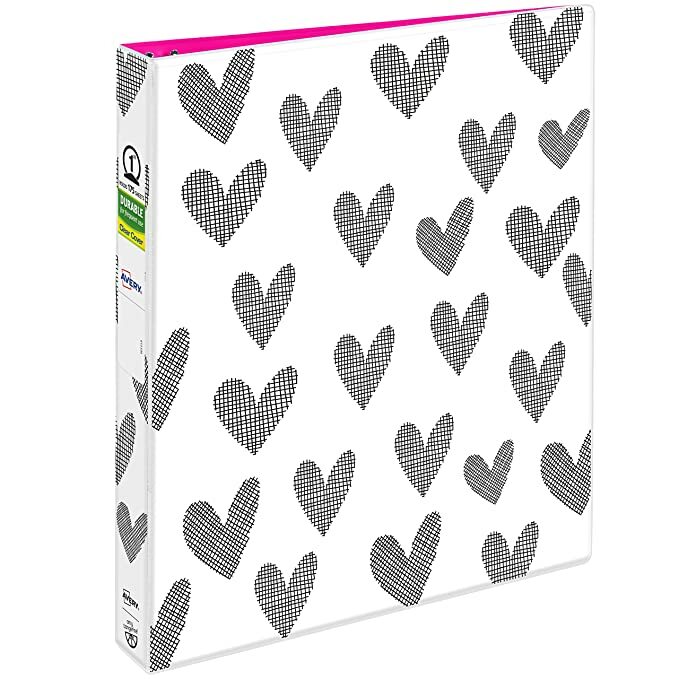 My main one I use is this ARC Planner with MAMBI (Happy Planner) rings! I also use an Erin Condren for my editorial calendar! Pluses: Because it is “normal” sized, almost everything fits there. I don’t have to cut things down to fit into it. I can print out pages on my regular printer and just pop them into my planner on a whim. Minuses: It is too big to put into a purse. It probably weighs a couple of pounds and is great on desk, but does not work well for keeping with me everywhere. A4 Sized – Similar to letter sized, A4 is pretty close coming in at 8.3″X11.7″. Pluses: This is big enough to accommodate larger handwriting like mine. It is hefty and will not get lost. Minuses: For me, the weird size is a huge minus. I am not sure why you get so close to letter sized, but then still have to cut down pages to fit into your planner. There are a number of popular “pretty” planners that fall into this category. They are strangely sized and run the gamut of different binding types. I have used the MAMBI, Me and My Big Ideas, Erin Condrens and all different kinds of other planners! Pluses: They are super cute and fun to calendar in. Minuses: While a few of them allow some personalization, as a business planner they are limited in what they can do. Half Paper Sized – This one is exactly half a letter size page. 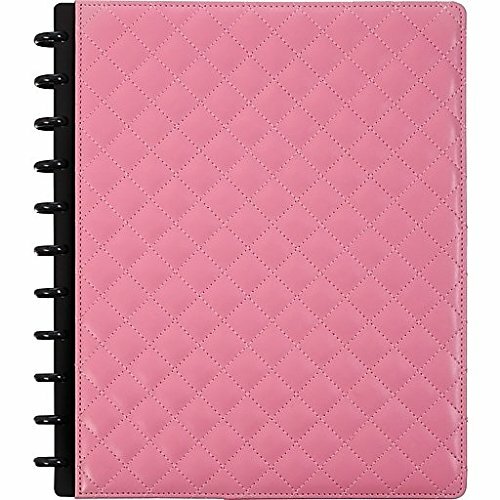 Pluses: Not a bulky as a full paper sized planner, this one easy to throw into a purse and keep with you at all time. 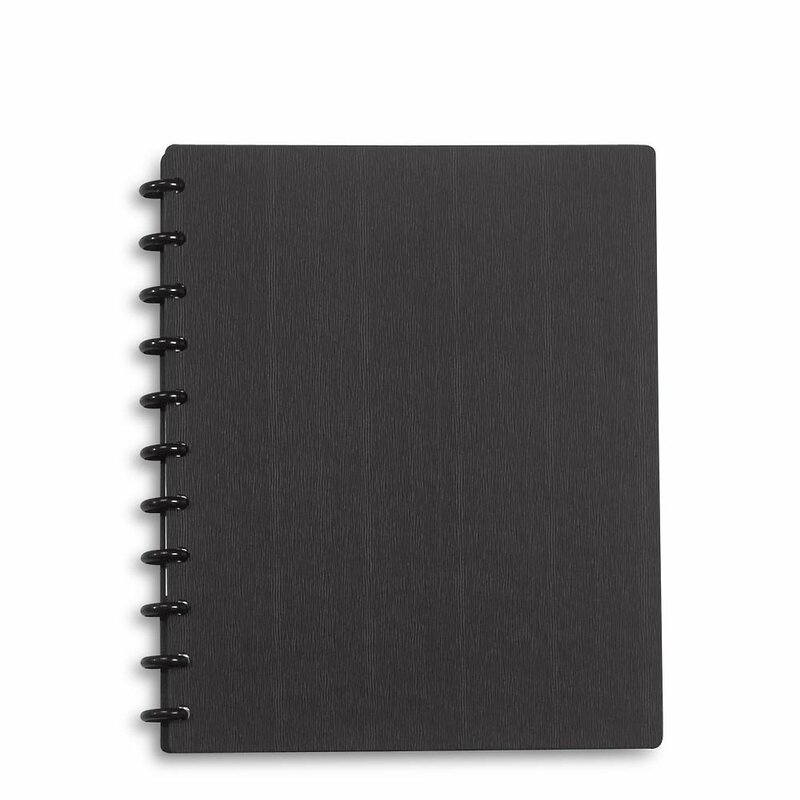 Minuses: I have tried this one and it is nice for keeping with you, but it winds up getting pretty thick because you have to have twice as many pages to have a full calendar or end up writing smaller. 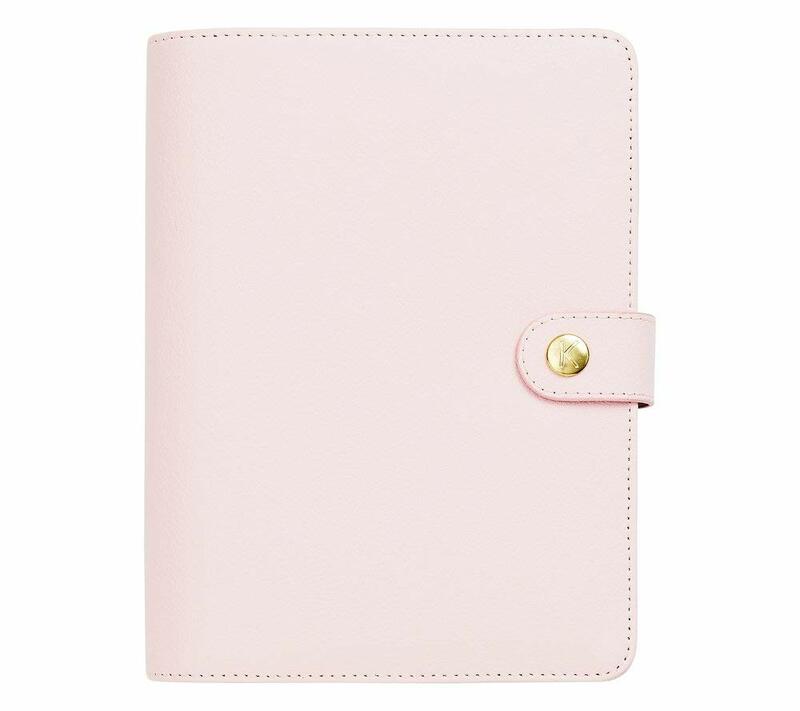 Pluses: Not as bulky as a full paper sized planner, easy to throw in your purse and keep with you at all times. Minuses: Can get thick and bulky because you have to have twice as many pages to accomplish the same things as you do with a full sized planner. You have to specialized paper products to fit into this one. Compact Sized – These are all over the board and are definitely not based on letter sized paper. Sizes range from 3.7″X6.7″ to 4.25″X6.75″. Pluses: Super handy to carry around with you in a pocketbook or a brief case. Minuses: Not great as a business planner since there is so little room for including anything besides your calendar. The next thing to think about is how the planner stays closed and its range of flexibility. 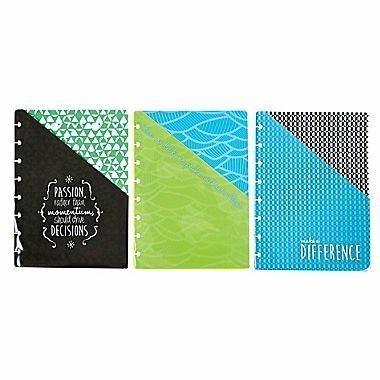 Disc/No Closure – This is my favorite kind of planner because of the ease of access when I am looking to work! It will lie completely flat on a desk and also fold over onto itself to make it just paper sized. The only drawback is that you need to buy a special paper punch from Staples or Levenger to make this one work. Additionally you need to buy special dividers and add ons. The are not expensive, but are limited. 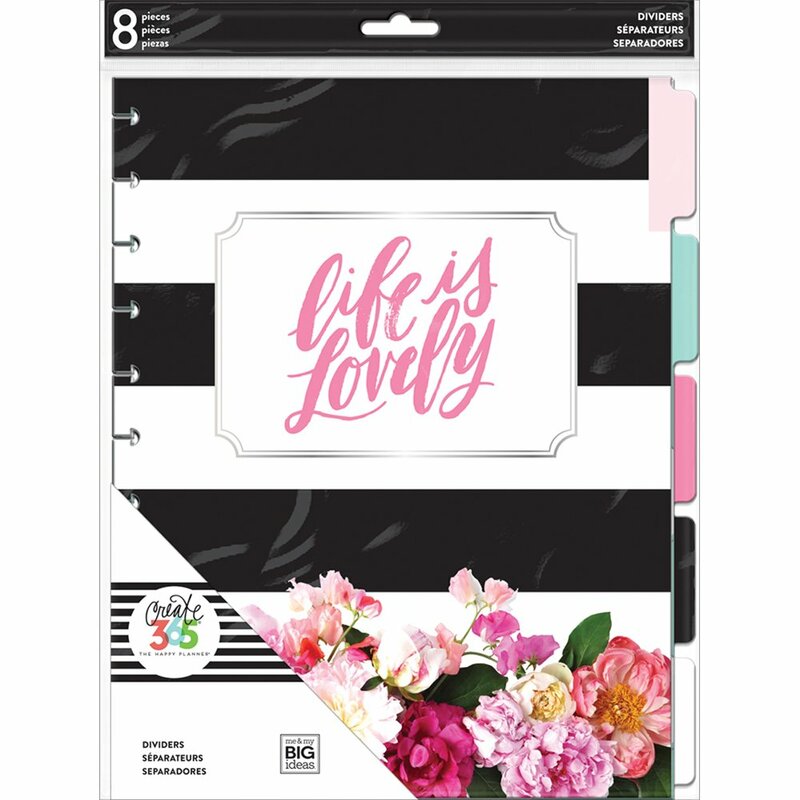 Wire Bound/No Closure – These planners are wire bound and cannot be added to easily. Again I love that they fold over and lay flat, but the fact that they are not easily changed is a challenge when using them as a business planner. 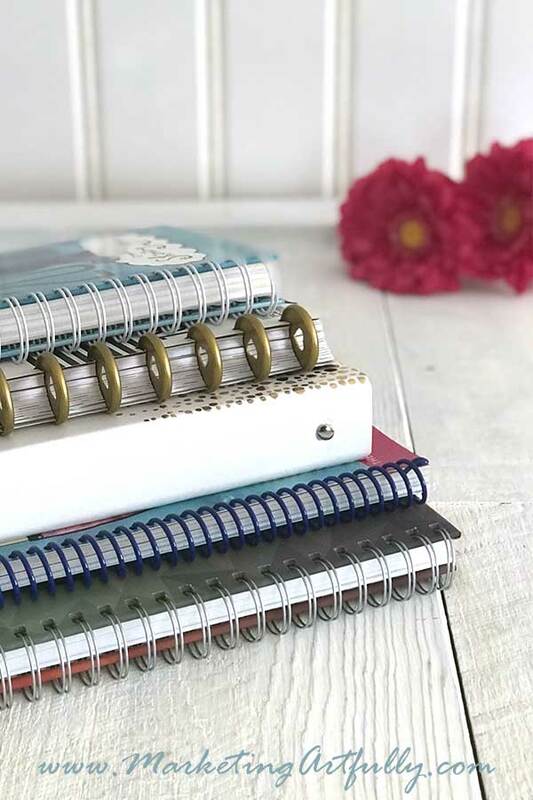 3 Ring/No Closure – If you are thinking about making your own personalized business planner, going with a 3 ring binder is a great place to start. There a myriad of them out there and hundreds of add ons you can get (like pockets, dividers and folders). The only drawback for me is that they have to lie flat on your desk. If you are space challenged like I am, the sheer amount of space it takes up on your desk is an obstacle to using it. Tab Insert/Closure – This is the kind that has a tab hanging over on the back that slots into a loop on the front, allowing you to “hook” your planner closed. 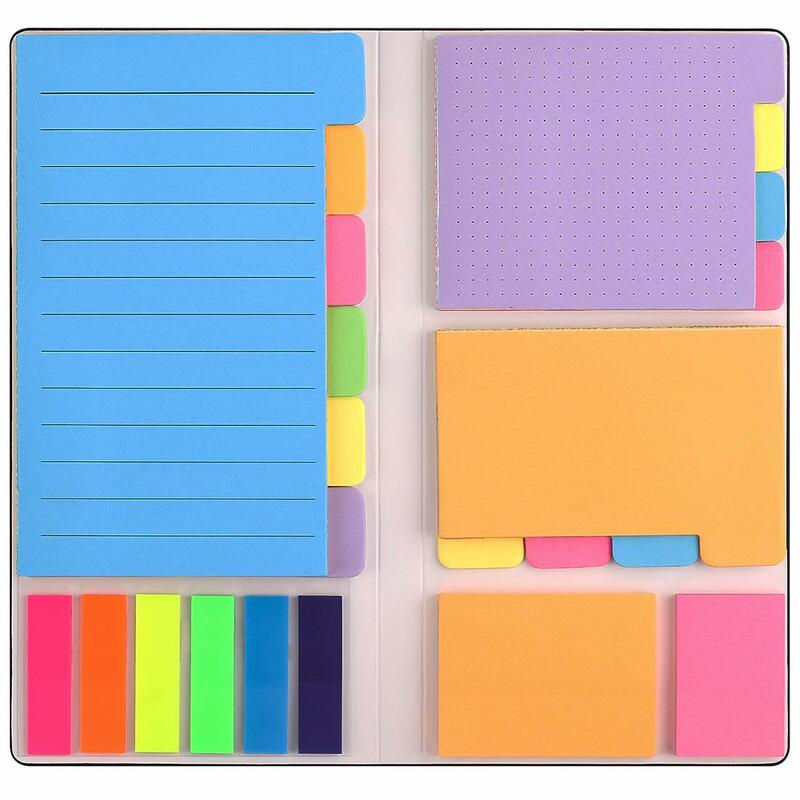 I have had one of these and it is nice for making sure that you don’t lose any of your “stuff”, but it doesn’t allow for folding over and the tab on the right messed up my writing. 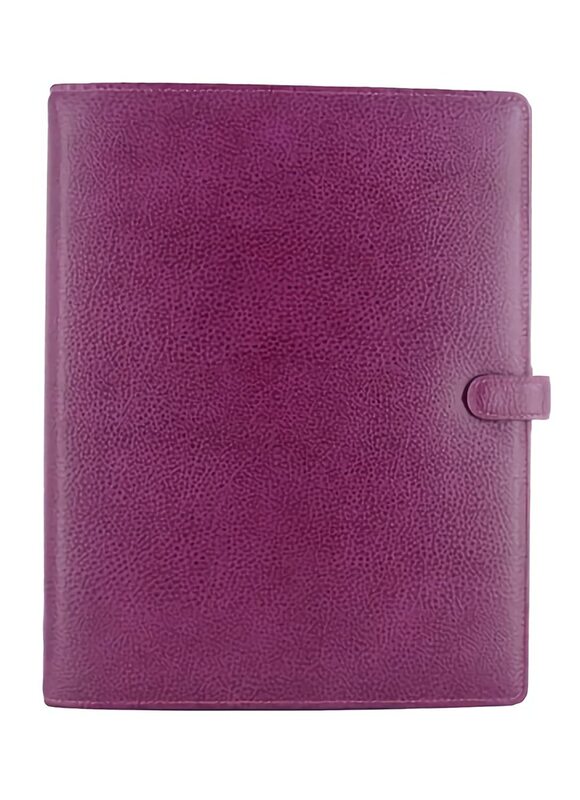 Zippered Case/Closure – Last but not least is the zippered case enclosed planner. 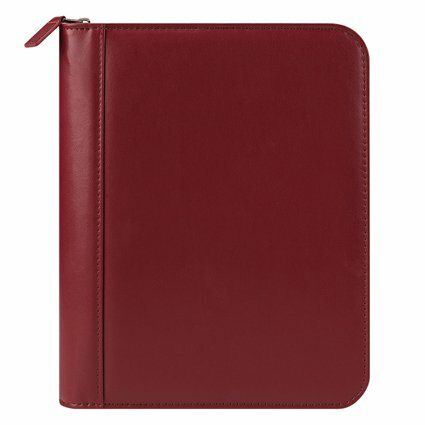 This one makes your stuff very secure, but for me the zippered part kept me from using my planner. Just the fact that it was constantly touching me while I was writing was a distraction while I was working. I wanted to save this section for last because it is important, but when you are using a business planner, the calendar’s importance does fade just a little bit. You will not be trying to put everything about your business onto cramped little pages anymore, instead you will be breaking out work and calendaring from each other! Here are some of the things that you might want to consider when you are choosing a calendar style. Horizontal Versus Vertical – It seems weird that this could make such a difference but it does. This the difference between your weekly days running from top to bottom or side-to-side stacked on top of each other. Many calendars do not give you a choice, but keep your peepers open for what you like! Schedule By Times or Schedule In Blocks – This is another big one…some people like to be able to see every second of their day in a time frame and some people are just happy to know approximately in the day when they are going to be doing something. I think the big difference here is whether you have lots of appointments that require precision or not. Alrighty then, probably more than you ever thought you would need to know to choose a simple business planner. But, based on the proliferation of them in the marketplace, it is obvious that we all are struggling with managing our time and business. 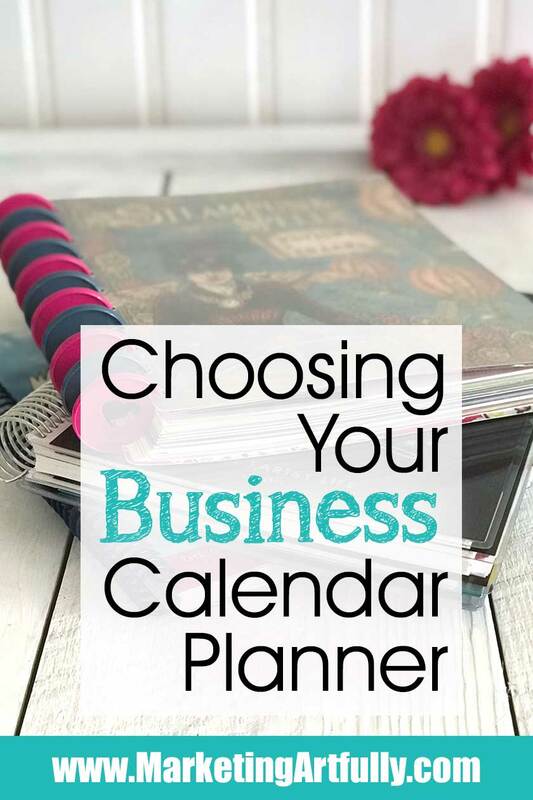 Hopefully this post will help you get some clarity on what really matters to you in terms of choosing a business planner or calendar.